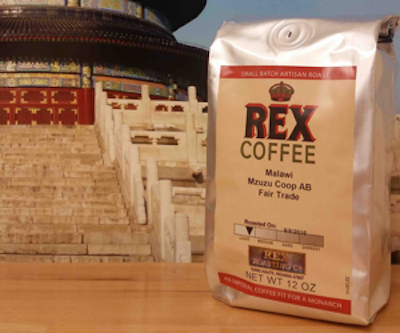 Malawi Mzuzu COOP AB from Rex Roasting Co.
With preludes of smokey dark chocolate on the nose, the full and mostly round body matches expectation. At it's most acidic this coffee is pretty mellow with low tones of citrus and apple. The sweetness is present but subdued with a very mild tropical lushness. The lower tones show a little more dominance and complexity, offering pipe tobacco, smokey chocolate and nuts. The finish lingers with that same smoky tobacco with hints of herbs and leather. Categories: Coffee Ratings. Origins: Malawi. Flavors: Dark Chocolate, Full Body, Herbaceous, Leather, mild, Nutty, Pipe Tobacco, smokey, and Tropical Fruit. Brew Descriptors: Full Body, Smokey, and Sweet. Roasters: Rex Roasting Co..